This is a terrific brush, but I'm not reaching for it often enough in my rotation. 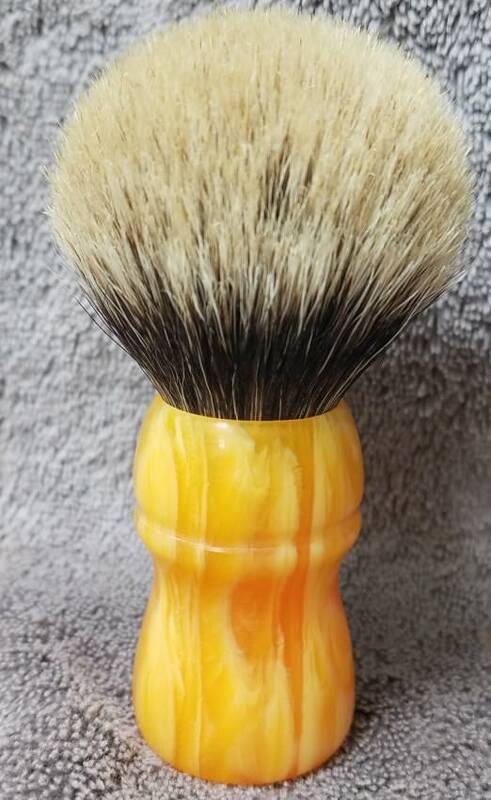 I love the Shavemac Silvertip 2-band knots, and this one is fantastic. It's got the backbone of a 2-band, and it's soft and luxurious like a silvertip. Really a pleasure to use. Knot specs: 25 mm Bulb shaped Shavemac 2-band Silvertip with a loft of 52 mm. The handle is custom-made by Rudy Vey in a beautiful butterscotch marble. The marble has so much character that I've added new pictures to show it off. 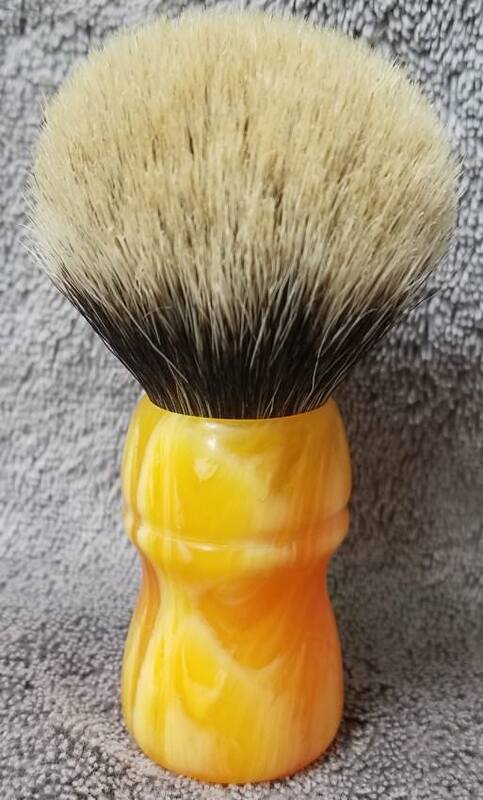 The handle shape is based on the classic Semogue SOC, and is very comfortable for face or bowl lathering. 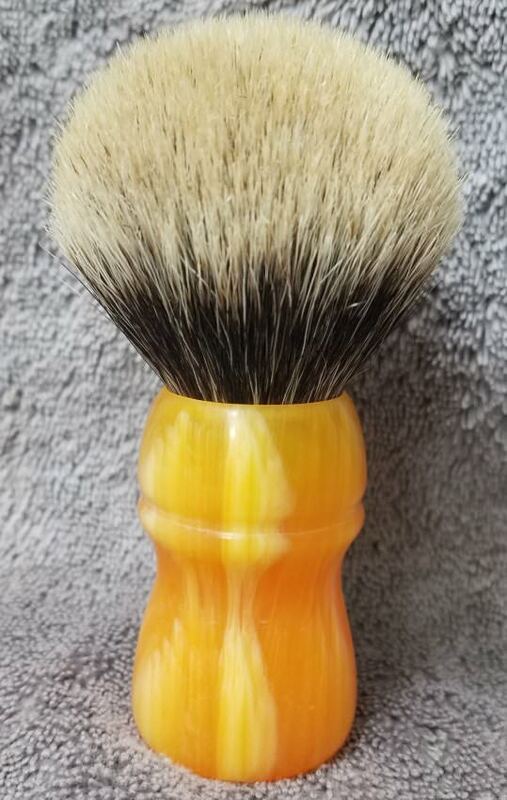 The brush is only a year old, and has been used only with unscented soap. I paid $160, which is roughly the price of getting a similar brush directly from Shavemac. I'm asking $125 $105 including CONUS shipping. This is the final price reduction, and I'd only go that low for my friends here at Shave Nook. 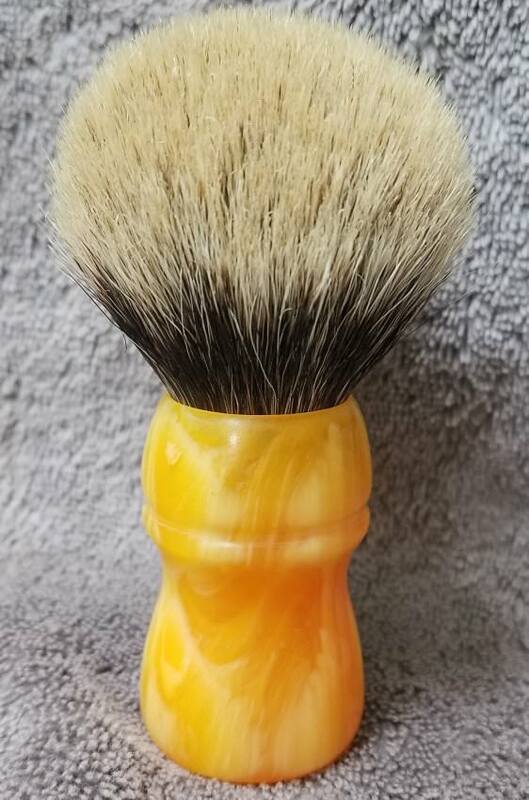 I want to see this brush find a good home. Price reduced! Now only $105 with CONUS shipping.